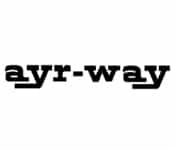 Ayres developed a discount format called Ayr-Way in 1961. This subsidiary was one of the first discount store divisions launched by a traditional department store. Ayres opened the first Ayr-Way store prior to both the first Kmart and Target stores. At one time they had 47 stores in three states in the Midwestern United States. The concept was sold by Associated in 1976 under anti-trust pressure from the Federal Trade Commission. In 1980, the Ayr-Way chain, consisting of 40 stores and one distribution center, was acquired by Dayton Hudson Corporation (now Target Corporation). The stores were remodeled and reopened as Target in 1981.